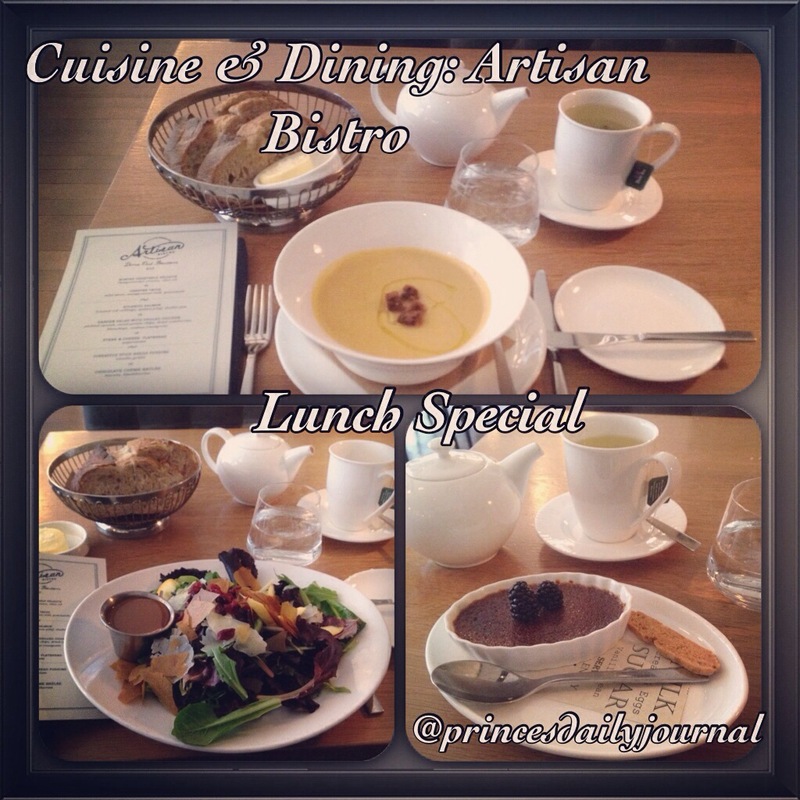 Two weeks ago I had the opportunity to taste Artisan Bistro’s Lunch Special (prepared by Chef Andrew Yeo). Here is my food review for each item on the menu along with my concluding thoughts. First impressions are everything. And I must say that I was thoroughly impressed by the first item that I had on the menu. The vegetable veloute was superb. The finest dish that I had in Boston–now there are only two dishes that I consider to be the finest. What made this soup so special was its taste. 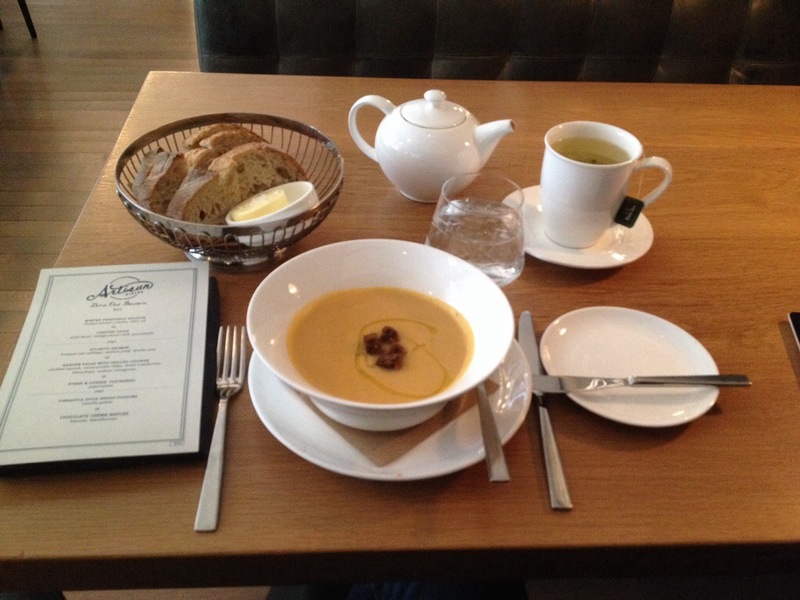 The soup was absolutely sweet–not too sweet but a solid sweetness! The taste of veloute closely resembled pumpkin soup. However, unlike the pumpkin soups that I had in the past, this did not burn my tongue at all. The taste that I experienced was a warm sensation– filled sweet hidden undertones of pumpkin. The presentation and the preparation was perfect–the pumpernickel croutons had a nice finish. My only critique was not knowing the delicious ingredients behind this delicious soup. I give this veloute a 10 out 10. For this item on the menu, it is originally called the Garden Salad w/ Grilled Chicken. And the only two ingredients that I asked to leave out were the Grilled Chicken and the Walnut Vinaigrette. The Garden Salad was exceptional. The main ingredient which brought out the taste of this salad were the cranberries–pairing well with the Raspberry Vinaigrette dressing. What I also enjoyed most, from this dining experience, was tasting the sweet thin-sliced potato chips. There was nothing traditional about this Garden Salad! The presentation of this salad was a piece of art made by an artisan–a collage of colors onto one dish. My only critique is that I could not taste the pickled squash. Unlike the other ingredients in the salad, I could not taste this particular ingredient. I give this Garden Salad a 7 out 10. Desserts are essential in every dining experience. Desserts do not only leave behind flavor but lasting impressions on the whole dining experience. The Creme Brulee was par excellence. 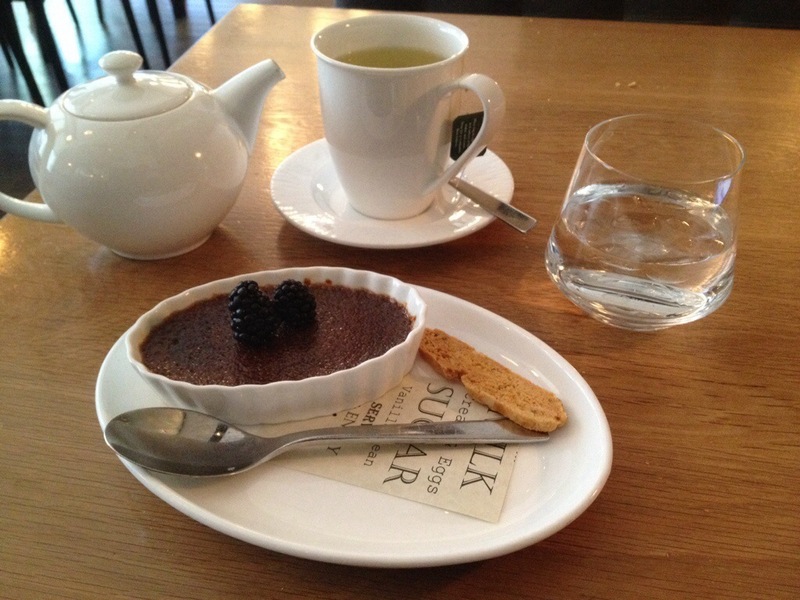 What I loved most about the Brulee was its element of surprise. When I took my first bite, I assumed that I would only be tasting the chocolate. But instead, I was welcomed with a sweet tingling sensation of glazed sugar on top of my palette and melted chocolate on top of my tongue. The best words to describe this taste are: “crunchy on the outside and gooey in the inside“–which first resonated from my mind while I was finishing my plate. What made this experience even more sweeter were the black berries–which really does not need any explanation. Unfortunately I did not try the biscotti with this dessert, but it did add a touch of class to the whole presentation. My only critique is that brulee should have been a tiny bit warmer (for my tastes of course). I give this Creme Brulee a 9 out of 10. 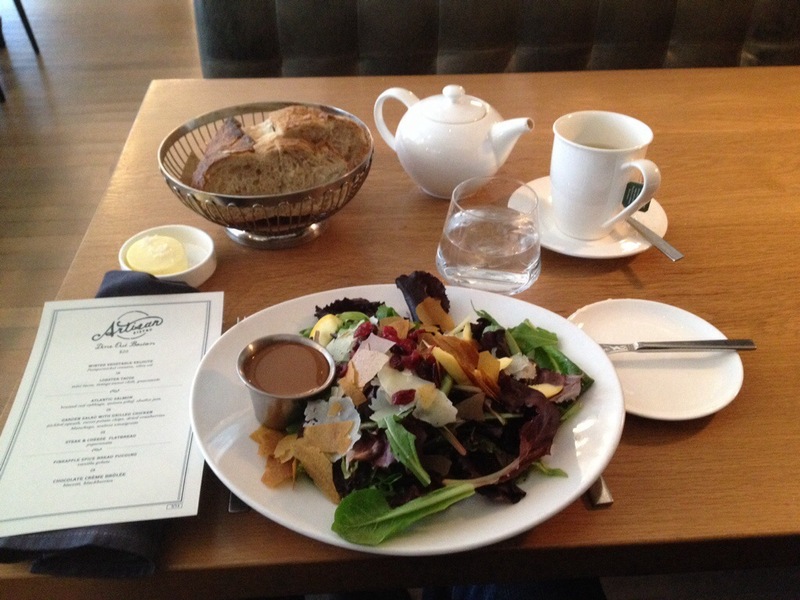 The lunch special provided by Artisan Bistro was truly exquisite; all for $20.00. I send my compliments to Chef Andrew Yeo for doing a great job on the preparation and presentation of each plate. (If I had tried the Grilled Chicken with the Garden Salad, I would’ve boosted my score by 1-2 points.) My favorite dish, which I recommend to any guest who do come here for lunch, is the Winter Vegetable Voulete. It is probably the best dish that you can either treat yourself to or that special someone in your life. But above all, what made this lunch special truly special was the service behind the meals. It does not matter what time of day you walk-in to Artisan Bistro; to have your morning breakfast or daily afternoon lunch. It’s staff are always patient and considerate of your needs–They will not mind if you need to stay an extra 30 minutes to finish your job interview or complete an important errand. Thank you Artisan Bistro for providing me with such great cuisine and a wonderful dining experience! Previous Motivation Mondays: Don’t Be Normal, Be Extraordinary!